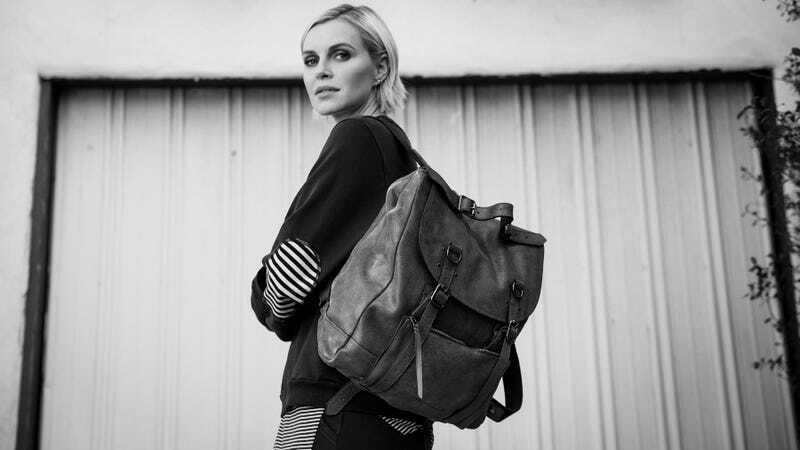 Timbuk2 just created the sleekest, most fashionable backpack the brand has ever seen, thanks to jet-setting creative and fashion designer Phoebe Dahl. Speaking of jet-setting, the newly launched Jet Set Convertible Travel Backpack is about to become your new best friend for packing light and looking like you know what you’re doing. The leather bag is basically made to be your best friend wherever the plane you’re on takes you. Coming in three colors (a bright blue, black, and metallic khaki), the backpack is easily convertible into a tote bag, purse, or shoulder bag. It also includes a detachable pouch that easily doubles as a crossbody bag. This thing is basically every bag a traveler could need, slimmed down into one easy-to-carry piece. The bag fits up to a 13" laptop in its internal sleeve, which means it’s the perfect size for a carry-on. That also means you don’t need to pack any extra bags in your (probably already full) luggage to use while you’re away. The sleek design and high-end finishes (think gold and matte black buckles and removable passport cover) make the Jet Set backpack an all-in-one luxury of travel luggage.